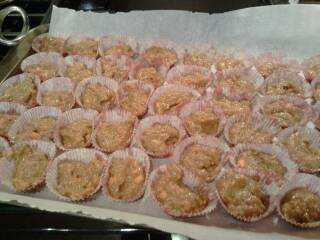 For our building four-legged friends, I made some special treats. After seeing how much the pups enjoyed their birthday cakes, I simply made the same recipe but just used mini-cupcakes instead of a cake pan... 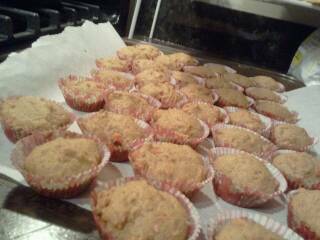 It's really a human and dog friendly recipe composed of peanut butter, wheat flour, honey, shredded carrots. The pups love it and since its the holidays, I wanted their friends to enjoy some of the delicious goodness. 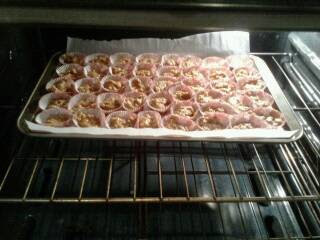 Here they are in the oven. Here the recipe that I got from here. In the holiday bags with little labels for the various pups in the building. Gotta hide these from my friends. 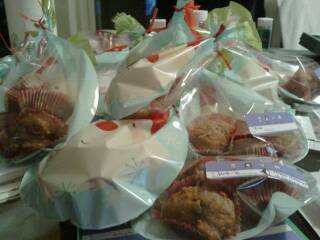 many of them love these little treats that I make especially for our little guys. Do you have any pet friendly recipes you do? Hey, thank you for this idea! i have my own little fur baby and i love to vice her! What's better treat than a cookie i ca eat with her?